A high quality, washable, silk emulsion, suitable for interior use, where a dirt-resisting coating is required. The low odour, quick drying properties ensure minimum disruption during application. Coverage approx 12m2 per litre. 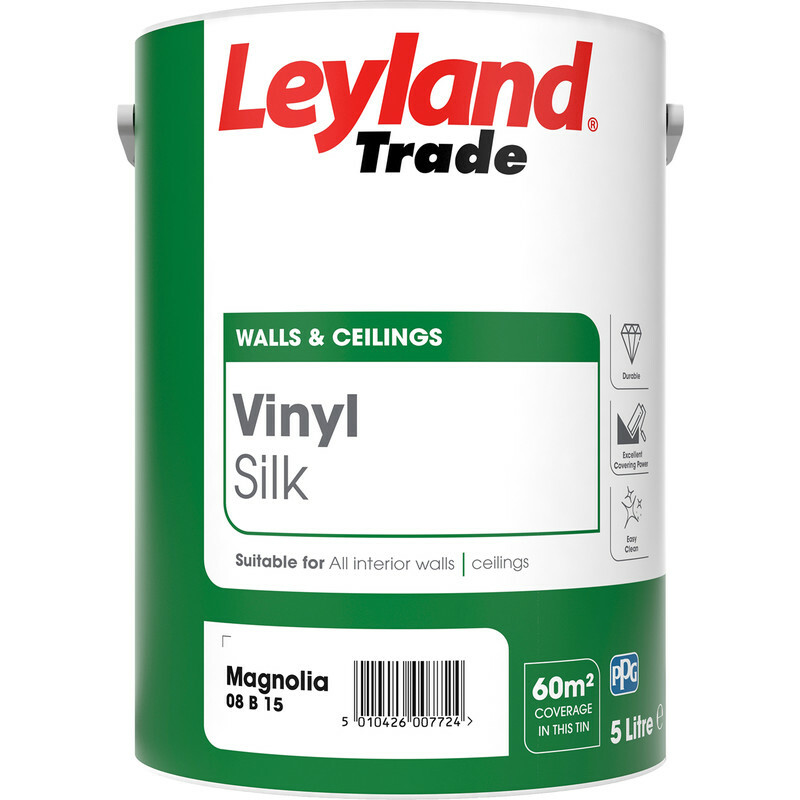 Leyland Trade Vinyl Silk Emulsion Paint 5L Magnolia is rated 4.7 out of 5 by 16. Rated 5 out of 5 by Nd53 from Used before, enough said I guess Been using this British manufactured paint for several years now, covers well, keeps for ages after opening, so always available to touch up if or where needed. Prices always competitive and like I say it gives work to the UK! Rated 4 out of 5 by Terrys from Good buy. Quality product at a keen price. Rated 5 out of 5 by CelticBhoy from Great Results! Purchased a few weeks ago to do my sons bedroom and found that I had No Problem with the coverage on the ceiling or the walls. Rated 5 out of 5 by MTW Decorator from Good coverage Does what it says at a fair price, I prefer buying 5ltr tins to 10ltr tubs as they are easier to move about with less chance of spillages. Shame they are not better packed, with one tin split and leaking but was able to salvage enough for the job. Rated 5 out of 5 by bren from good paint a good thick paint that covers well ( a lot better than certain diy shops paint that seem a bit watery) drying time is fast.